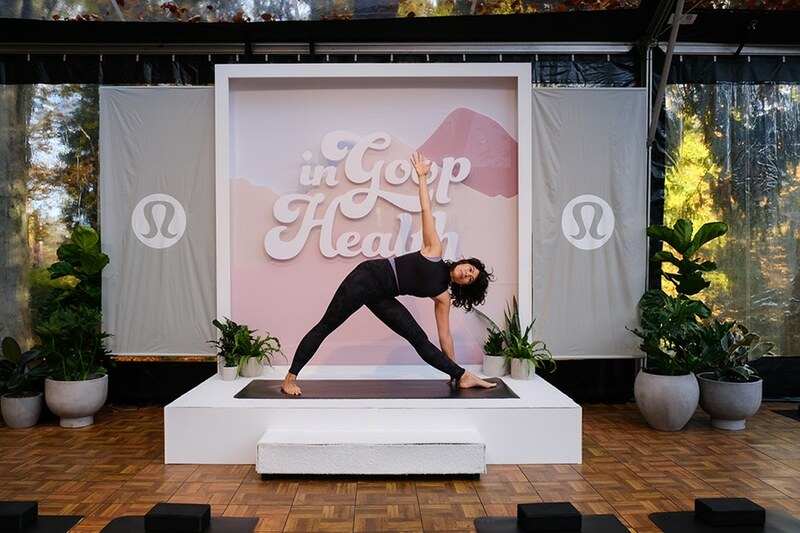 Practicing yoga at the In Goop Health summit in Vancouver. Today, Goop is a household name all on its own—but it’s gotten here in part through partnerships with other brands. Goop celebrated its 10th anniversary last year, and Gwyneth Paltrow’s one-time side project is now big business. The company first began its life as an email newsletter from the actress-turned-entrepreneur in 2008, and has since evolved into a website, magazine, ecommerce platform, multiple brick-and-mortar stores and as of late, an events business. And as it’s grown, brand partnerships have become a key part of the company’s revenue strategy. 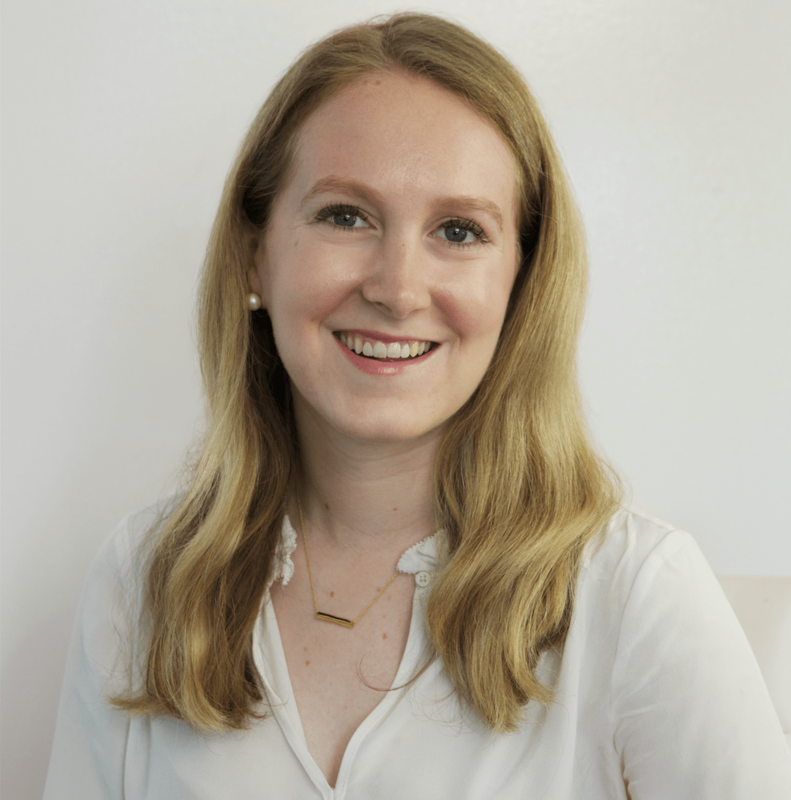 Goop’s chief revenue officer, Kim Kreuzberger, a media industry veteran who has held posts on the business side of publications like InStyle and Vogue, is the leader behind many of these events and the one forging many of these brand relationships. Authenticity, as with most brand-publisher relationships, is key for Goop, and Kreuzberger said they like to lead with “gratitude and legitimacy” when integrating brand partners into anything Goop-related, particular with events, “creating context” around a brand’s presence there. A large part of that authenticity, Kreuzberger said, comes from Goop’s history. Its growing ubiquity (and attached celebrity power, even in its early days) may make people feel that it was always the behemoth it is today, but Kreuzberger said that it took several years for the company to get to a place where it felt ready to use the strength of the community it had built to form revenue-driving connections with brands. Of course, the presence of a strong community make events a natural next step—a physical place for that community to gather. Goop’s most notable endeavor is the In Goop Health wellness summits, which have taken place so far in New York, Los Angeles and Vancouver, with the next summit set to arrive in London this June. That event has brought in partners like Lululemon, Ketel One and LG, among many others. But that’s only one example of Goop leveraging a brand partnership to create a physical touchpoint for its fans. A partnership with Google, focused around a new, blush pink-hued Google Pixel phone, birthed a collaboration on a product guide (titled the Not Pink Shop) full of similar-colored items, from a phone case to a $68 rose quartz straw. The Google x Goop conveyer belts. 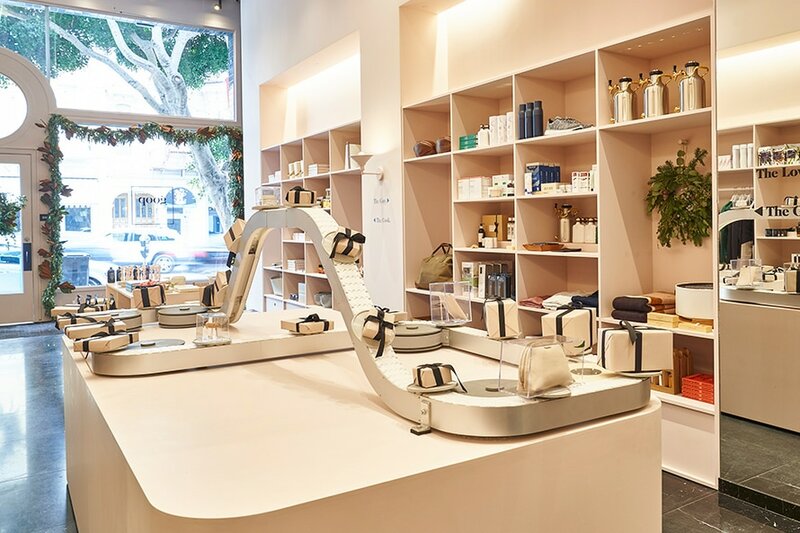 In addition to the San Francisco pop-up, the items from the Not Pink Shop were sold in all of Goop’s retail locations, from London to Los Angeles. These retail locations have become a major point for Goop to host events, too, like a master class with the site’s executive beauty editor Jean Godfrey-June in New York, in partnership with Blue Diamond. The location in Brentwood, Calif., hosts as many as two events every week.